We love seeing unique ways in which people and brands are using the app, like Urban Outfitters using it to promote their swimwear separates or how Gap is promoting their skimmer pants. We love getting a behind-the-scenes look at the Brooklyn Nets warming up and this stop-motion video is cute. It all got us thinking. What ways can we use Vine to help our agents do their job? And what are some important tips to know when using the app? We’ve rounded it all up here, so you can start making your own videos. 1. 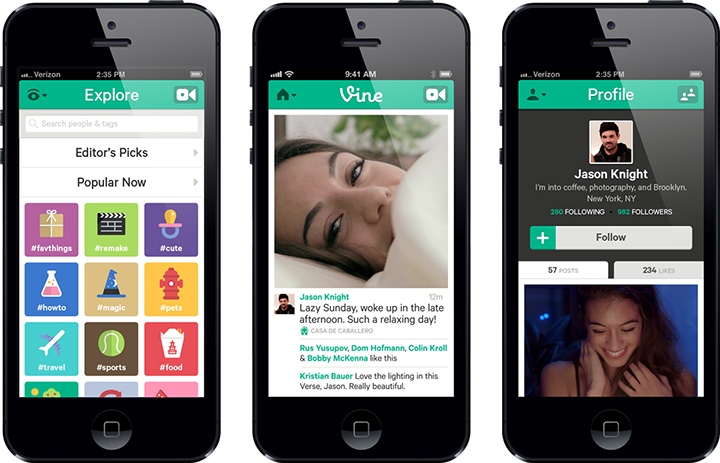 Getting started: Vine is currently available for iPhone and iPod touch. You can download it here. After installing Vine on your device, sign up using an email address or your Twitter account. Once you’ve logged in, you can find people to follow, post your own videos, and more. 2. Ready to record: See that camera icon in the top right? Tap it to start your video project. Then just tap the screen to record. You can hold your finger on the screen and record all six seconds at once, or you can lift it to pause recording and switch scenes. When you’re done recording, hit the next button to add a caption, location, and choose your sharing options. Be sure to use the hashtag on your #firstpost! 3. Familiarize yourself with different styles: Check out the way other users are making videos. Look at clip lengths that feel natural to you (not too fast, not too slow) and types of camera movement. 4. Use hashtags. That’s how people search different topics. Try terms #realestate or #listingtour or amenities like #pool or #haileplantation to make your posts more find-able. You may use more than one hashtag (but we don’t suggest more than five) and just remember that you can’t use spaces or punctuation in a hashtag. For example, #it’sagreatday! will tag as #it and you don’t want that. Looking for an example? Our very own Aaron Bosshardt recently posted a quick overlook of a home that’s for rent. (Hint: if you want to pause the video, tap the screen on a touch-enabled device). And, if you’re asking why you should try recording video clips, consider this: You’ll be showing your clients you have an edge. People like knowing the agent they’re working with have a grasp on technology, and creating mini video clips will provide something they probably aren’t seeing elsewhere.